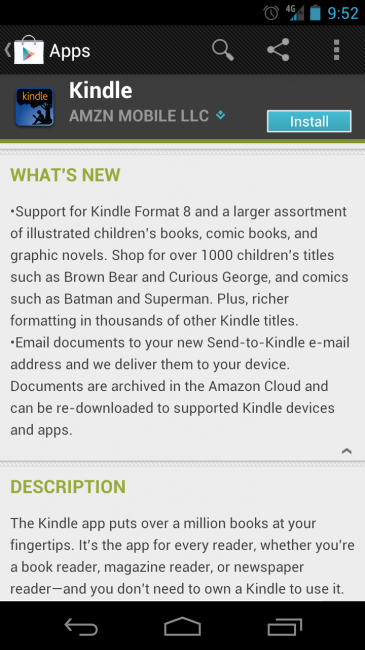 The Kindle app for Android received a sizable update yesterday that includes a handful of new categories. Children’s books, comics and graphic novels are all now a part of the service through your Android device. They also gave you the ability to send documents and files to your Amazon cloud account through “Send-to-Kindle” email addresses, a service that will give you access to them down the road.